In the process of scanning souvenir cards for the SCCS site, I'm turning up a few odd items. Here's one that was tucked away in a large envelope. 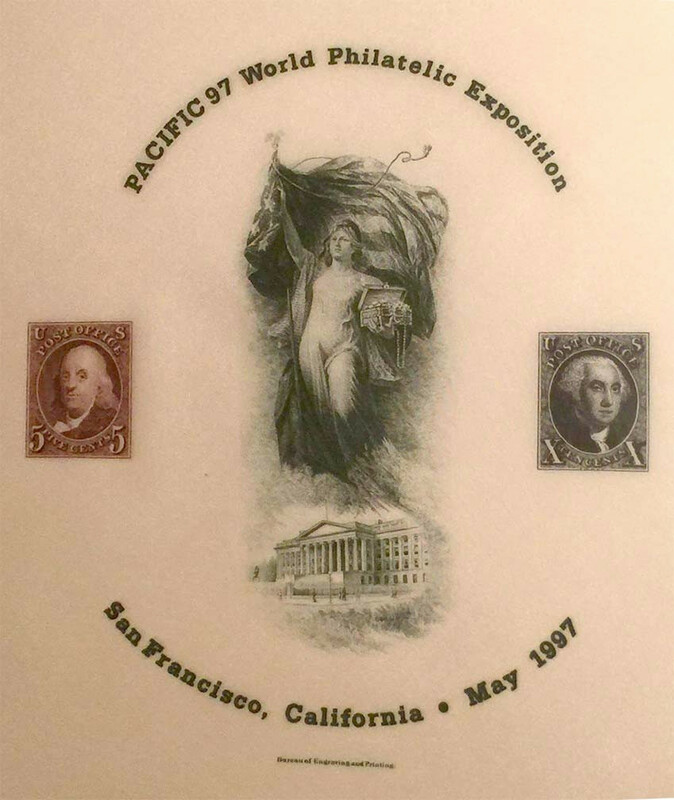 The Bureau of Engraving & Printing brought their demonstration press to a number of expositions and World's Fairs during the 1890s and early 1900s; the last one was the Philadelphia Sesquicentennial Expo in 1926. 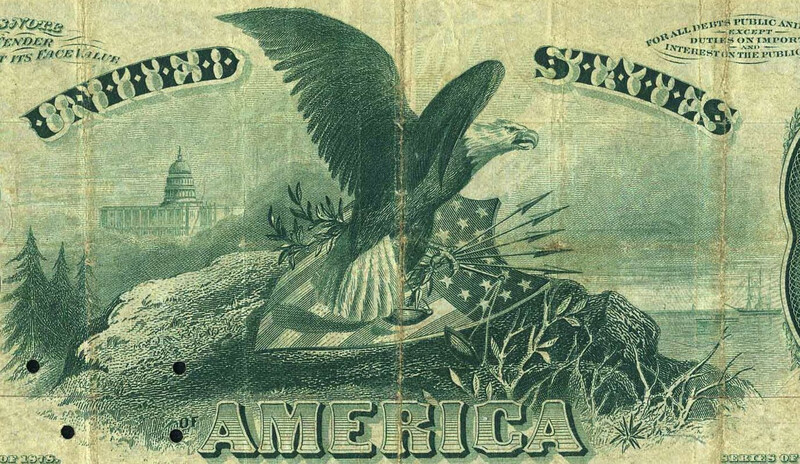 They often printed souvenir cards, but more often they printed souvenir silk handkerchiefs. These have become quite scarce but still show up from time to time. 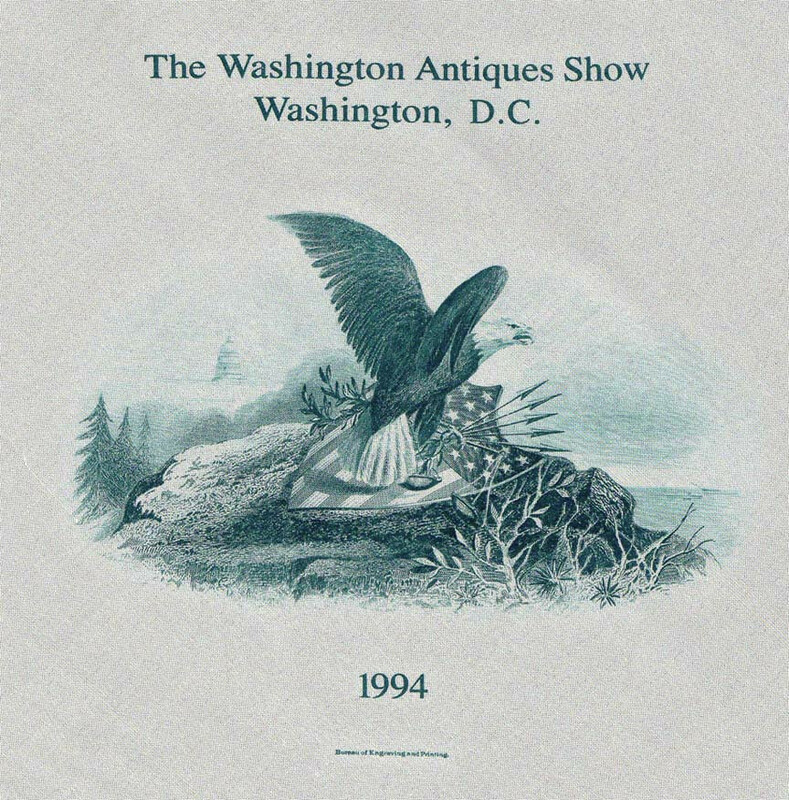 In 1994, the Washington (DC) Antiques Show requested that the BEP bring their press and exhibit to the show, but they wanted some type of souvenir -- not a typical card. The Bureau suggested a silk handkerchief and the deal was sealed. But the Bureau hadn't printed on silk in nearly 70 years and had no one with any experience. They also had no source for silk handkerchiefs. Fortunately the Bureau's PR manager happened to be getting married around that time. She was having her wedding dress handmade from silk and was able to order additional material that the Bureau could fashion into handkerchiefs in time for the antiques show. 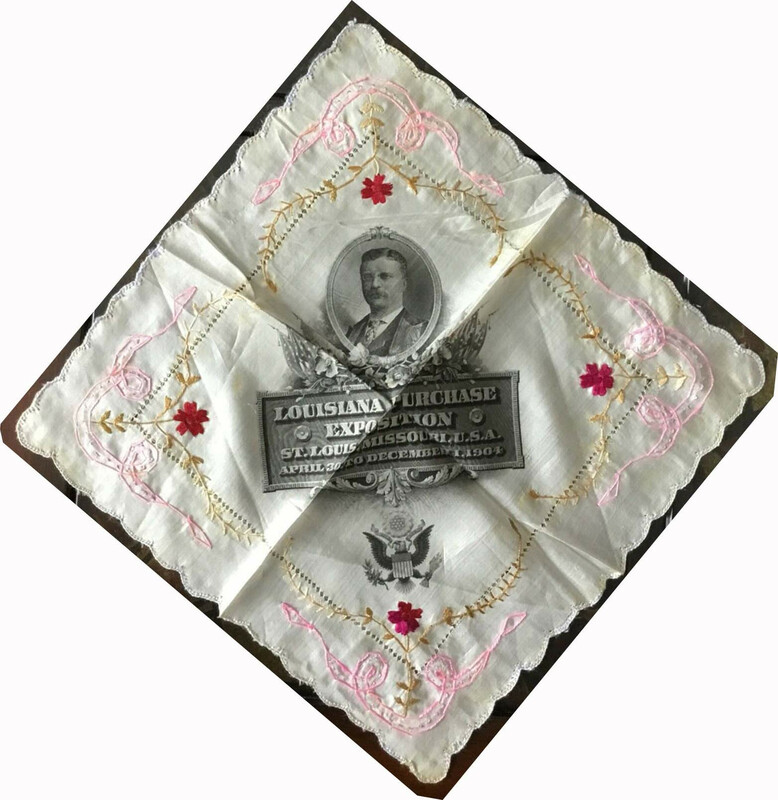 1000 of the special handkerchiefs were printed and put on sale at the show for $50 or $55 by mail order. It measures roughly 12" square. I don't know how many were sold, but the BEP did not do another mass printing like this, so I suspect sales were on the low end. 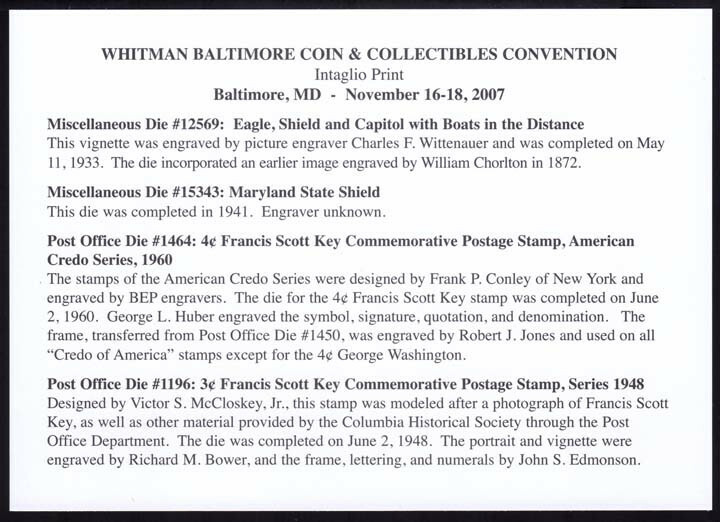 Since this is not a souvenir card it is not in the SCCS catalog, but it's definitely a neat BEP product. 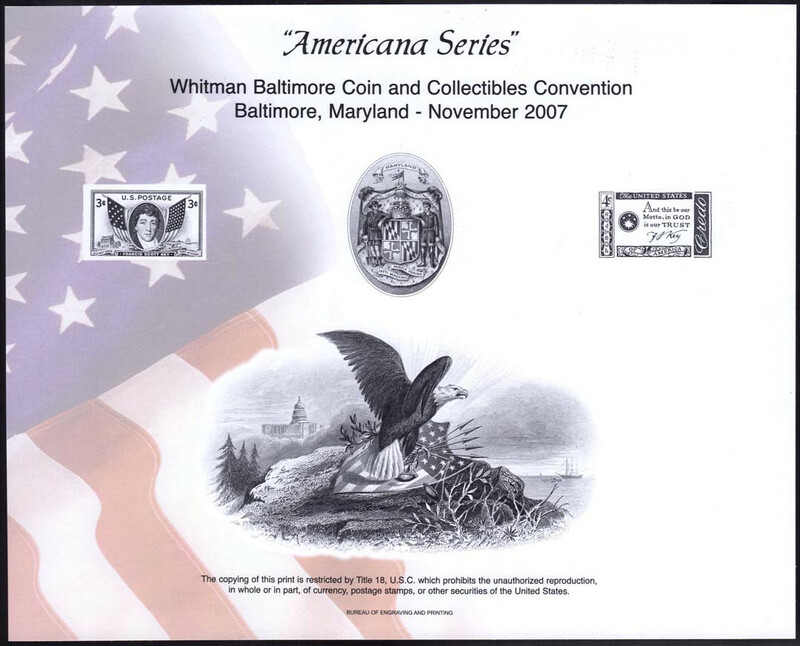 Cool item...amazing what you find when you start digging back through your collection. I've done the same thing, come accross something I have forgotten about for years. I have never seen one of those. Very cool. Very cool. First one I’ve seen. Great idea for the August 2018 Philly ANA show ? Greg can you check with the spider press folks ? Thanks. Nice idea, but they plan their special prints way in advance and there's no chance they would do something like this for general public consumption without a lot of forethought. That said ... I once saw Mike Beck (BEP demo pressman) print an intaglio design onto a t-shirt using the spider press. The show visitor just offered the blank shirt as a joke and I think Mike wanted to see if it was possible. So if you brought your own silk hankie Mike might print on it, if nobody's looking. I’ll bring 10 and give one to you. He might do one or two as a favor, but 10 would be pushing it. I lied! 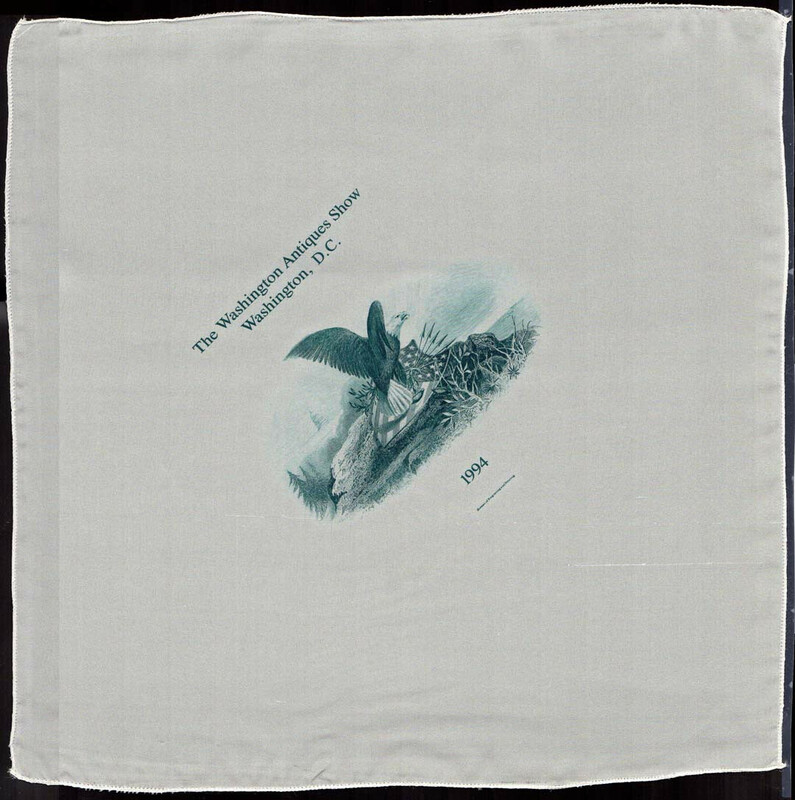 there was another contemporary handkerchief printed by the BEP. 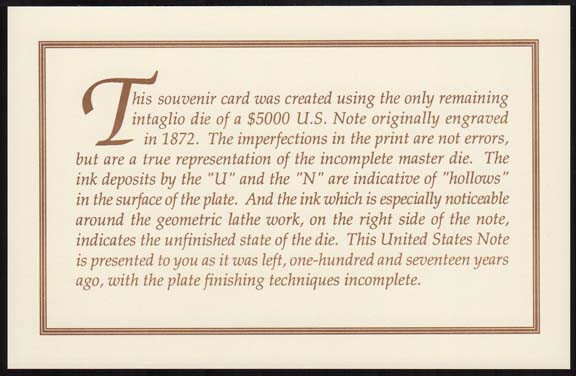 I discovered this as part of the souvenir card scanning project, but there's still some confusion about whether it received an SCCS catalog number. I should have known about this, too, since I actually WENT to Pacific '97 in SF. Obviously I did not buy one of these, though I vaguely remember them being on sale for a seemingly exorbitant price. Fortunately a friend did buy one and sent me this photo. 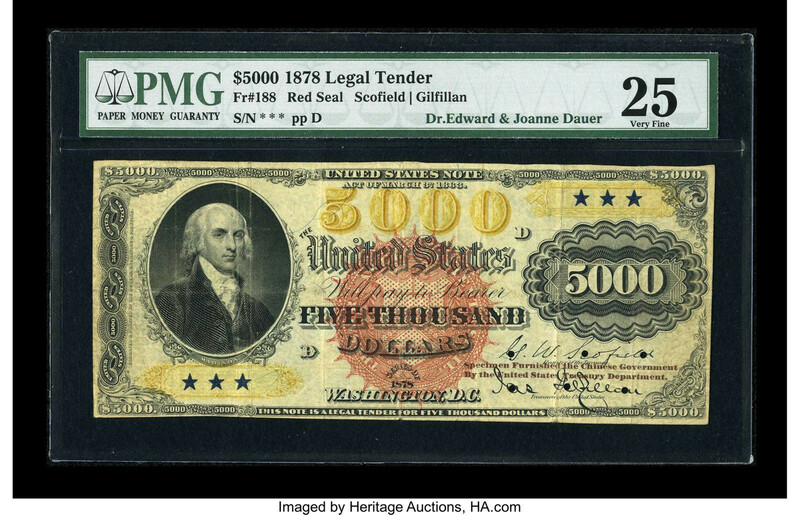 Thanks for posting that gorgeous $5K note, Bernie. 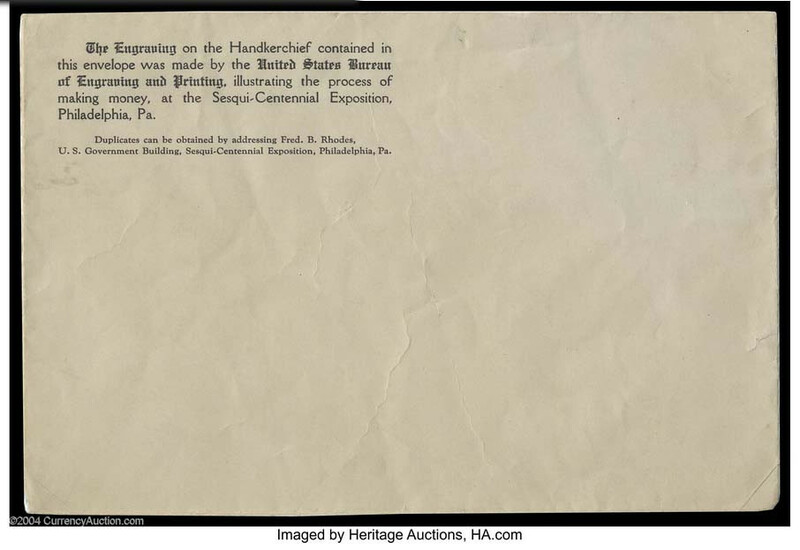 This vignette also shows up on another souvenir card -- B-287. And there's an incomplete version of the $5000 back on B-124. I ventured onto Etsy today and discovered a great deal on the 1994 eagle hankie. Since I have one already, I thought I'd post it here and give someone else a shot. Thanks for link. 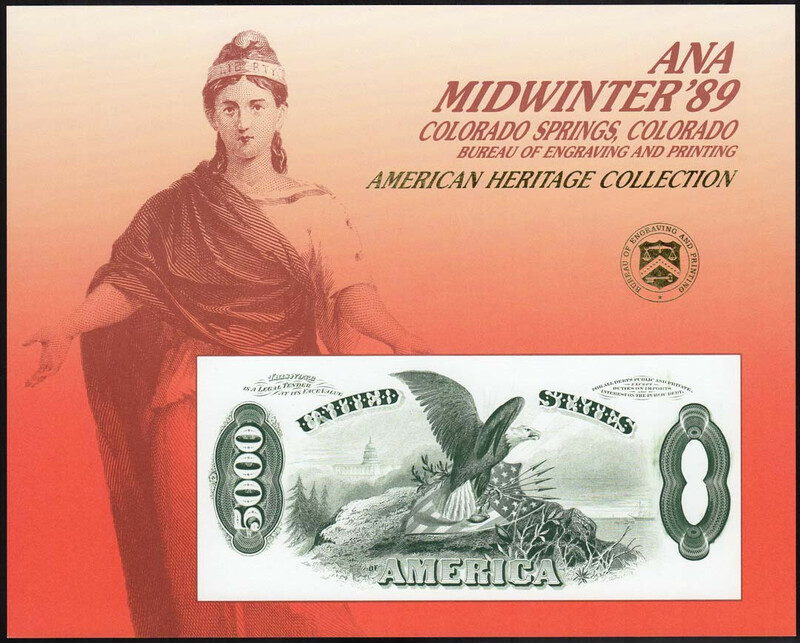 Terrific looking 1994 eagle hankie in original packaging. Very cool. Looks like somebody nabbed it! There's another interesting hankie on eBay right now. 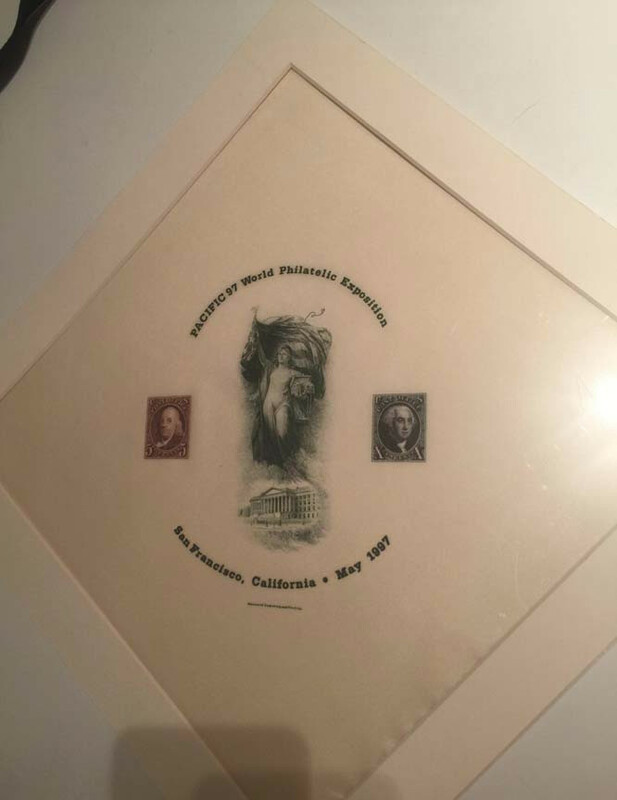 This one was a souvenir of the 1904 Louisiana Purchase Exposition ("Meet Me in St. Louis") and was also printed by the BEP. If it sells for under $70, someone got a great deal. Well Greg I got out bid and didn't get this one. Better luck next time I guess. Yeah okay! Not quite the same, but I made an offer on it. Funny I was looking at the vignettes you had on another string and liked the AYP one. How'd you know? The Great Karnak knows all. Just spotted this on the Heritage site from a 2004 auction. 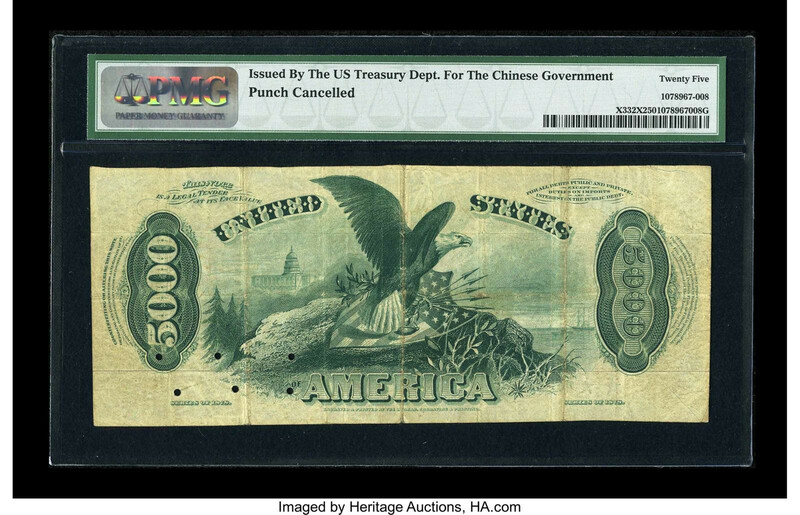 First one I've ever seen -- these envelopes are far rarer than the silk hankies. This was from the 1926 expo in Philadelphia.